Monday’s bring newness, opportunities to be intentional, opportunities to start over, and start fresh! 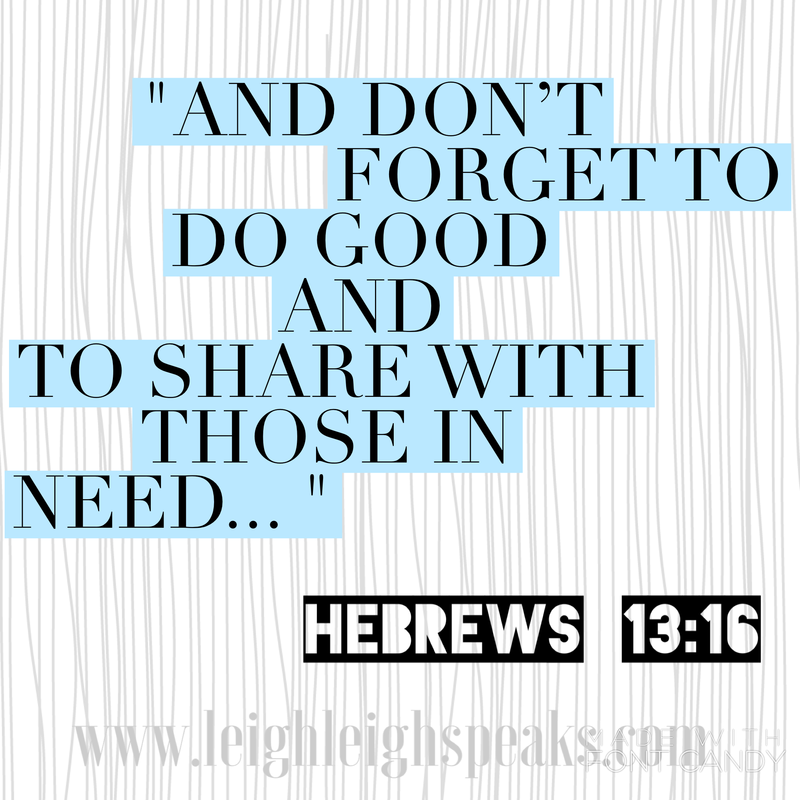 Hebrews 13:16 presents each and everyone of us with a challenge to share with those in need! Maybe it is something as huge as your pocket, but maybe it’s just your time, your smile, your hug, your extended grace, your forgiveness, your love, an ear, your encouragement, your support, your help; whatever it may be I challenge you to go out and be a blessing on this beautiful MLKJ Monday! ← Jealous when your Man notices Her?